This exhibition should have niche appeal – at least to ‘anoraks’ of the fashion world. Textile designers, embroiderers, costume curators, quilters and enthusiasts of handcrafted fabrics will certainly appreciate the work that has gone into creating the pieces on show. Historians and sociologists may well be fascinated by the backgrounds of the unintentional abstract artists. Collectors with five to twenty five thousand pounds to spare might think they are on to something as yet undiscovered. 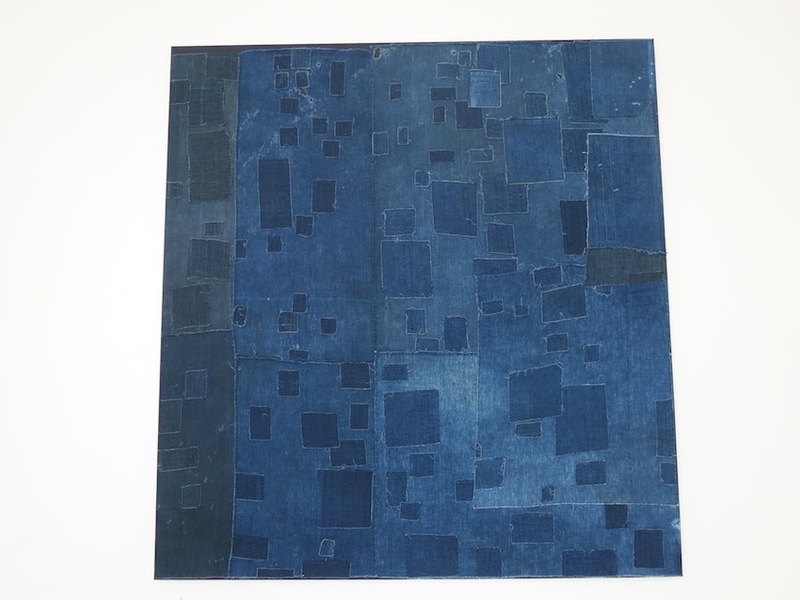 But the story of Boro is universally compelling – and the sustainability factor, together with the similarity of these indigo-dyed cotton collages to patchwork denim, means they are curiously on-trend. 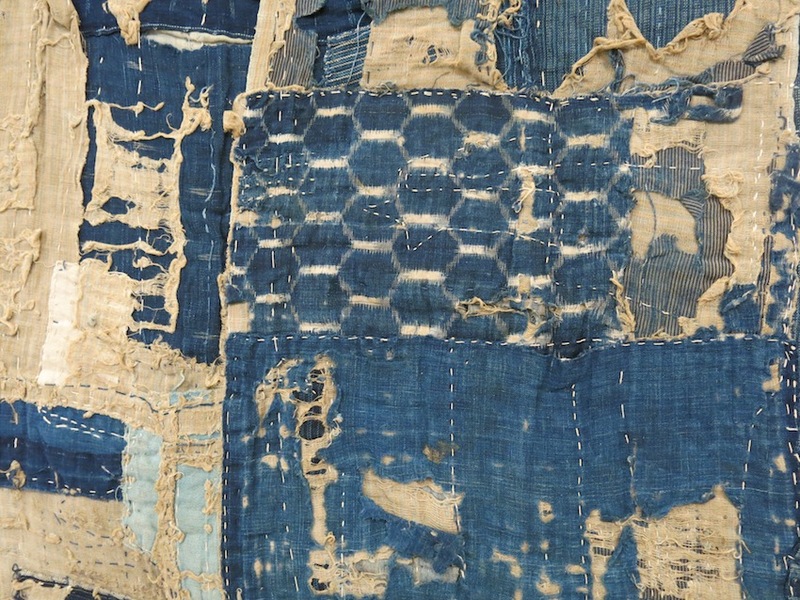 Translated as ‘rags’ in English, Boro is the collective name for clothing and bed covers made by the poor of rural Japan, who could not afford to buy new versions of the same items. 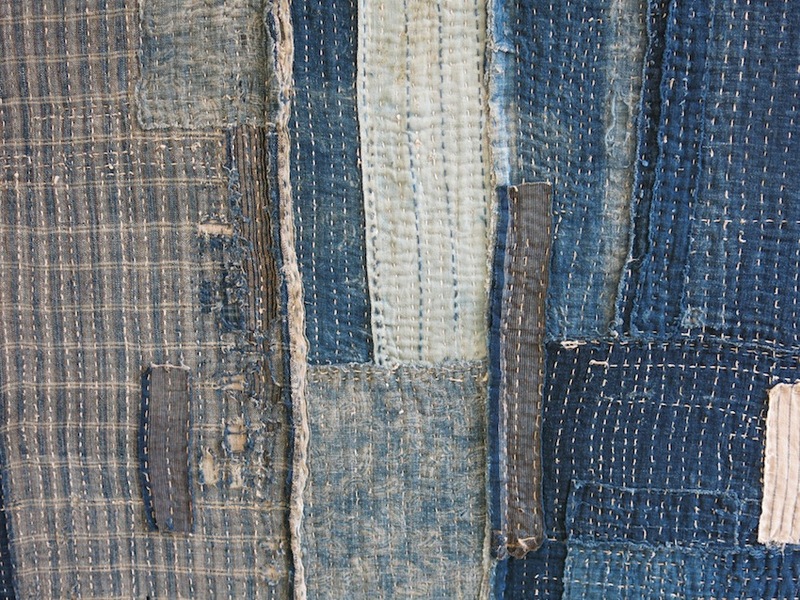 Japanese families repaired and recycled fishermen’s jackets into futon covers, and pieced together garments with homespun bast fibre, before handing them down to the next generation… weaving their own stories through the threads in the process. For this reason, boros are seen to have significant socio-historical status as they provide an insight into the modest lives of their makers and a snapshot of Japan’s impoverished past. During the Edo period (1603-1868) Japanese commoners were only permitted to wear clothes that were dyed blue, brown, grey or black. Cotton had been cultivated in southern Japan from the 16th century, but was a luxury fabric available only to the very wealthy. Discarded ‘worn out’ cotton garments from the south were valued enough to be collected by merchants who found a ready market for their goods on the northern coast. Fragments were purchased and pieced into layered clothes and futon covers by the rural poor for whom cotton cloth was rare and expensive. 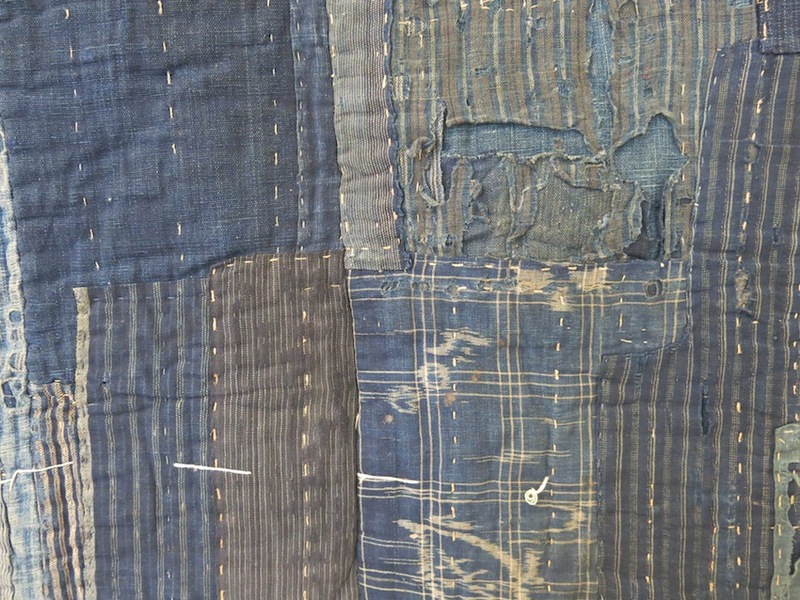 The making of Boro cloths and clothing continued into and beyond the Meji period (1868-1912). 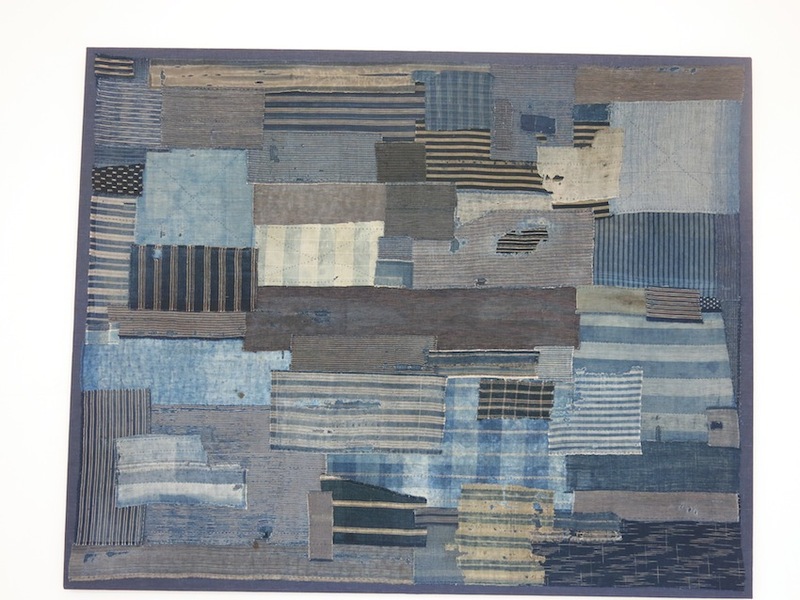 As Japanese society became more industrialized and urbanized in the early twentieth century, the patchwork practice faded and many boros were simply thrown away, as they were a painful reminder of a poverty-stricken past. Boros are still looked upon unfavourably in Japan today, but have recently become highly collectible in Western cultures, where they are seen to capture the essence and simplicity of Japanese ethics and aesthetics alike. 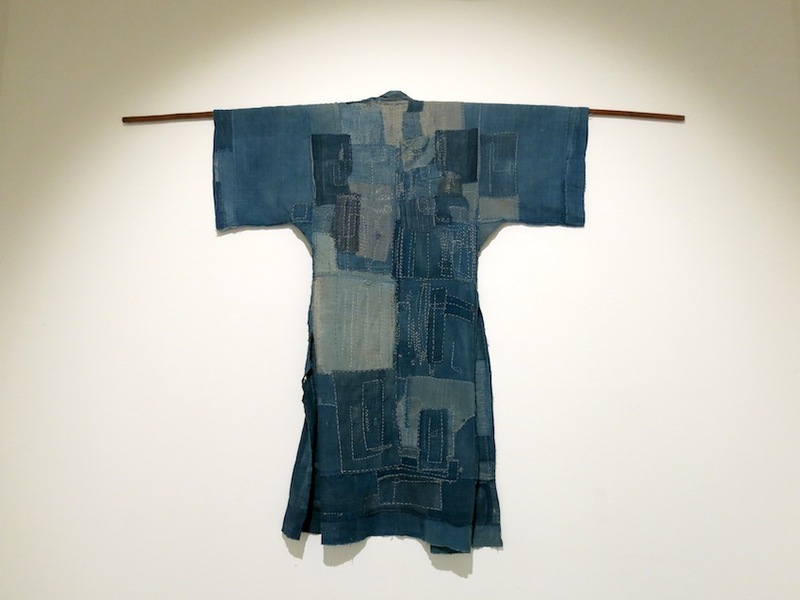 The traditional shashiko stitching that reinforced sections of some Boro allowed scope for individual creativity, but the makers would never have regarded their creations as pieces of art. 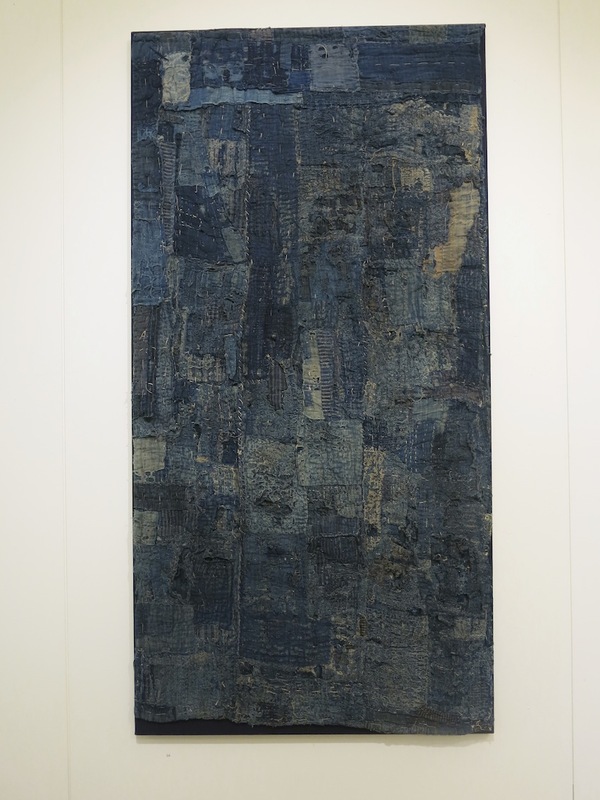 Nowadays they are compared to the art of Paul Klee, or Alberto Burri, who made works using pieces of sacking glued onto canvas as metaphors for austerity and suffering. Except these are the originals. 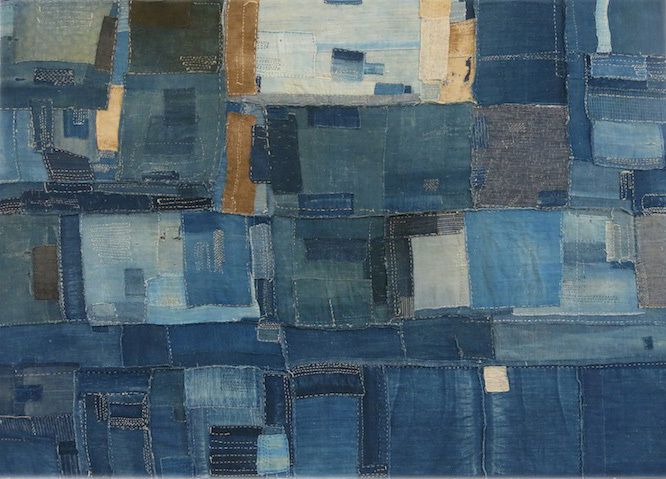 For our trend report on primitive art, plus more inspiration and ideas for a sustainable future, see Visuology Issue 2. Tears came to my eyes for the people who wore these. So beautiful like lanscape art. The new American painting in the National Gallery relates with these for me in room 43 with the French painters using the blue too. This is exquisite, i have a blue black jacket made of fine cotton from a village in India, supported by the shop ‘East’, that I wore till it disintegrated, if only I could find it & make something of it like these garments. 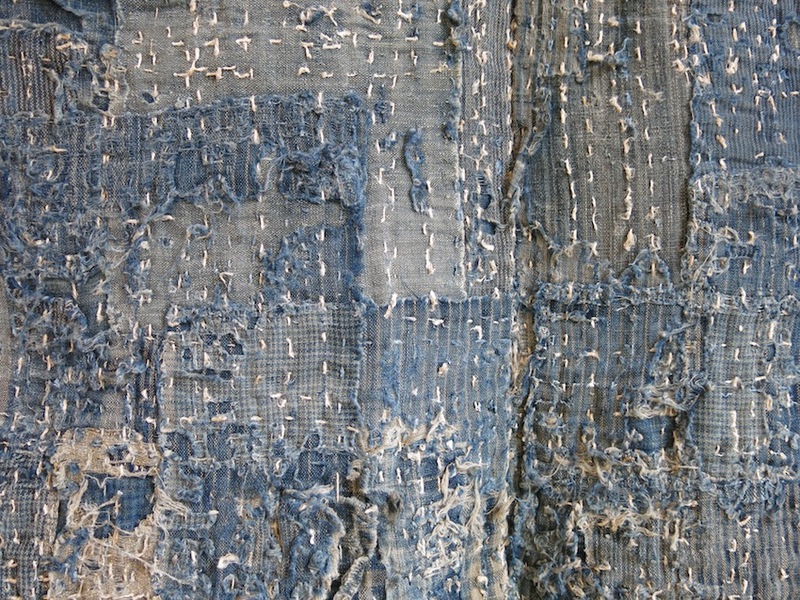 Very nice boro textiles. Thanks for sharing. 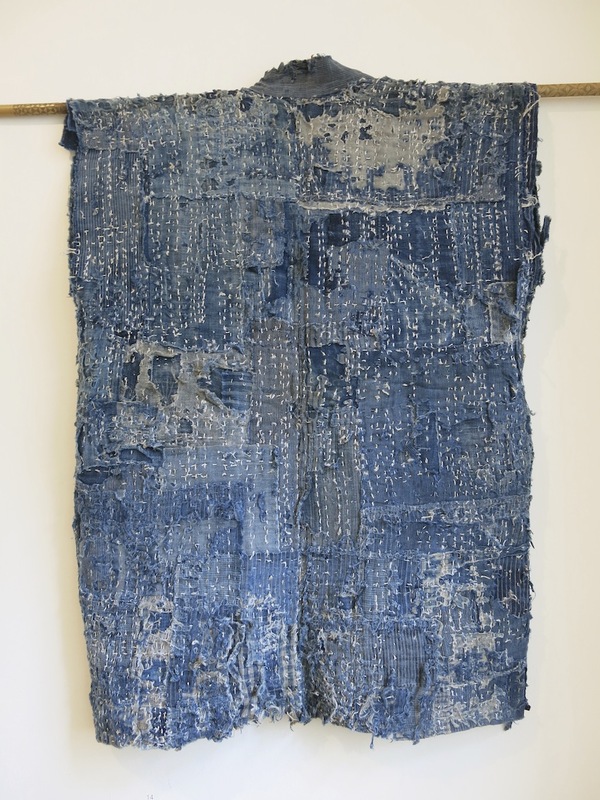 I especially favor the well worn vest with lots of sashiko stitches. There an online shop in Japan that sells the same kind of Japanese boro textiles.